Hotelogix, a global leader in hospitality technology domain, is celebrating 10 years of empowering hotels with its world-class cloud-based Hotel PMS. During the last decade, Hotelogix has grown into a trusted technology partner for hotels operating across 100 plus countries. Hotelogix was founded on 14th March 2008, also known as Pi Day coinciding with Albert Einstein’s date of birth. 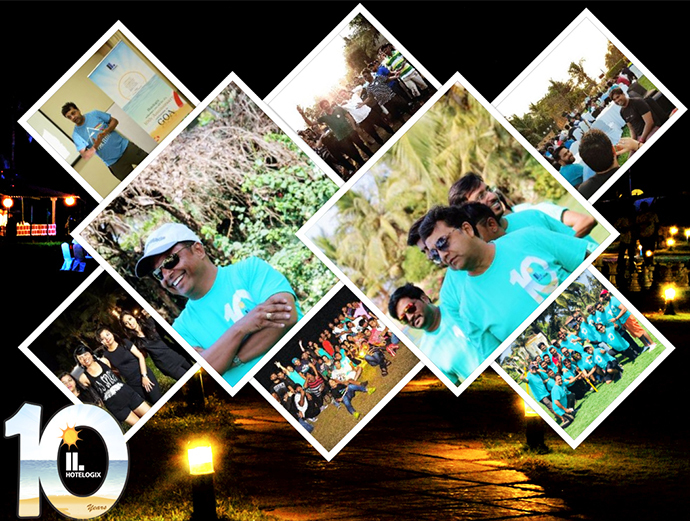 The company planned a range of activities in Goa, where all its employees gathered for a two-day long event to commemorate this special occasion. Commenting on this milestone, Prabhash Bhatnagar, Founder at Hotelogix said, “Since our inception in 2008, we are clearly driven by one aim – to harness the Internet & empower hotels with technology, help them automate operations, and to increase their revenues & reach. Our persistence has led to a ‘no compromise’ strategy when it comes to enhancing our product features and functional capabilities. Many thanks to our 150 plus employees who have been passionately working to boost our leadership role in the global hospitality technology domain. Hotelogix is instrumental in introducing the best practices in SaaS to the global hospitality industry. In 2010, the company released the first ever ‘Try & Buy’ model by clearly displaying its pricing on its website to help hoteliers make buying decisions without worrying about any hidden costs. 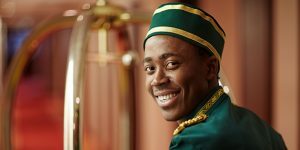 The company acquired its first Hotel customer in Greece in 2010, soon to be followed by US and Africa. The 100th country the company ventured into was United Arab Emirates in 2016. “During last 10 years, our PMS has grown into one of the largest enterprise-grade hotel management software on the cloud. From helping users to manage operations at small B&Bs to 350 plus rooms star hotels, or even at chain and group hotels, our PMS has evolved into a comprehensive tool in response to today’s hoteliers’ business requirements,” said Aditya Sanghi, Co-founder & CEO at Hotelogix. According to Aditya, Hotelogix has ventured into new markets, replaced many popular server-based PMSs, and have gained hoteliers’ trust. “Our anniversary celebration had a blend of cherishing the spectacular journey so far, and a strong resolve to become the biggest PMS brand in years to come. Thanks to our customers, partners, investors, and employees, for whom, Hotelogix remains to be effective and strong,” Aditya added.